A wonderful fixer upper that's just minutes to the heart of Jones! Located in a rural neighborhood with an expansive horse pasture across the street, ideal country living! This is the perfect opportunity to create your dream home with a blank canvas. 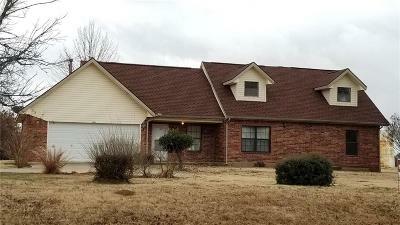 With 4 bedrooms and 2 full bathrooms and a large kitchen, this home has a great main living space. There is a beautiful outdoor living area with almost three quarters of an acre! The seller is willing to offer a flooring allowance. There are so many possibilities with this home, come let your creativity shine.